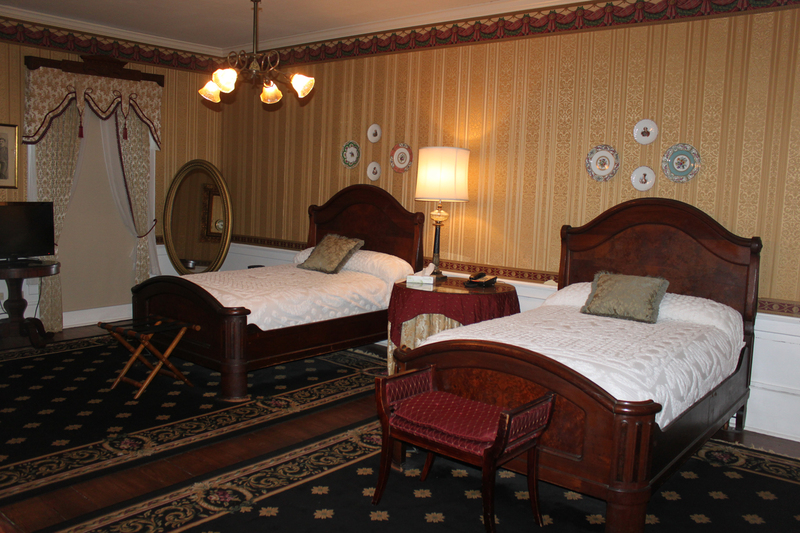 The Grant Presidential Room, #212, features two double beds with a walk-in shower. Walnut cornices dated 4/24/1874 adorn the windows. The light fixture was originally a gas light. A picture of President Grant and his family was traded for a night’s lodging. This room has a maximum capacity of 4 guests. Children and young people under 18 must be accompanied by a parent or adult.